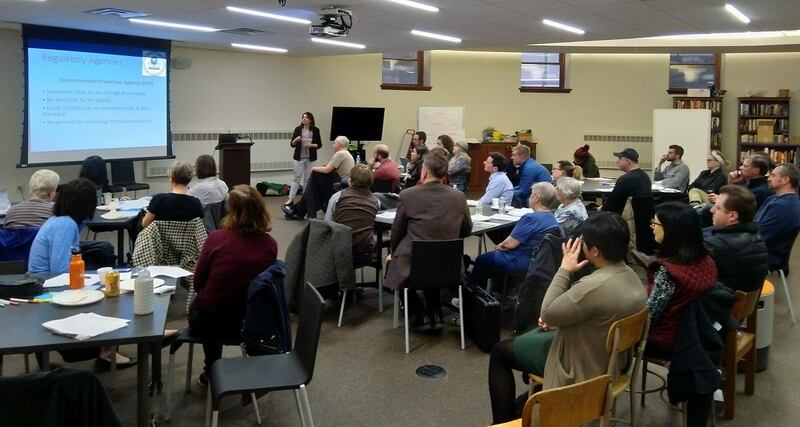 On March 13th, 2019, Lawrenceville Clean Air Now (LCAN) and Lawrenceville United hosted “A Community Meeting about Air Quality in Lawrenceville.” Approximately 50 people were in attendance for a presentation from GASP, Q&A, and break-out sessions around specific topic areas related to air quality. Meeting notes are available HERE. To get involved, follow LCAN on Facebook, attend the next LCAN meeting on Saturday, April 13th from 2-3 p.m. at the Lawrenceville library on the lower level, or contact info@LUnited.org for more information. Did you miss the meeting? Check out the LCAN presentation here.